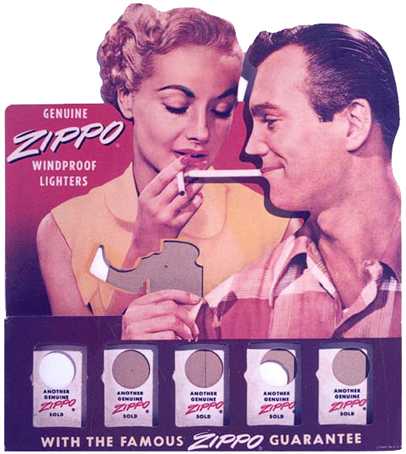 A 1953 cardboard display panel for six Zippos. 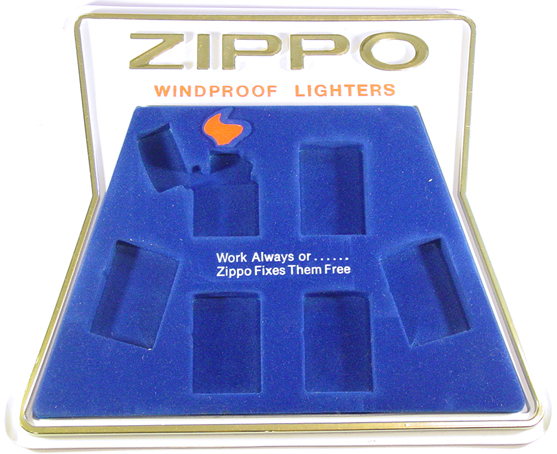 1960s wooden display for 12 Zippo lighters w/blue cardboard. 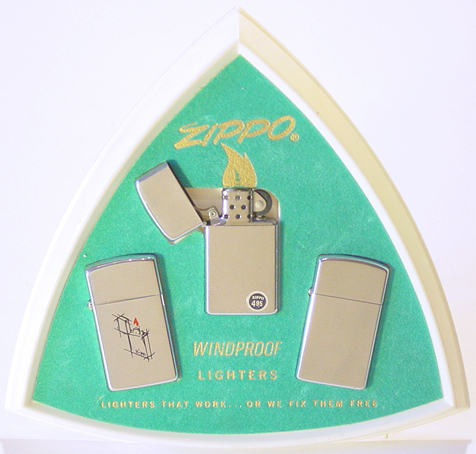 A 1970s white plastic display for 3 slim Zippos w/green velvet. 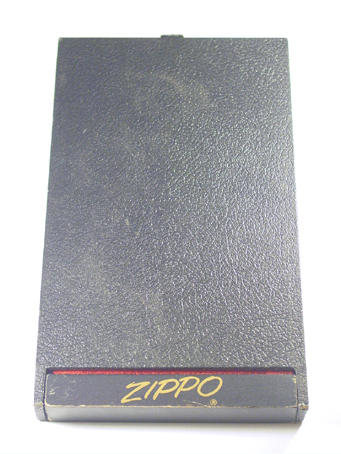 In 1978 the Ultralite Zippos were added to the product line. 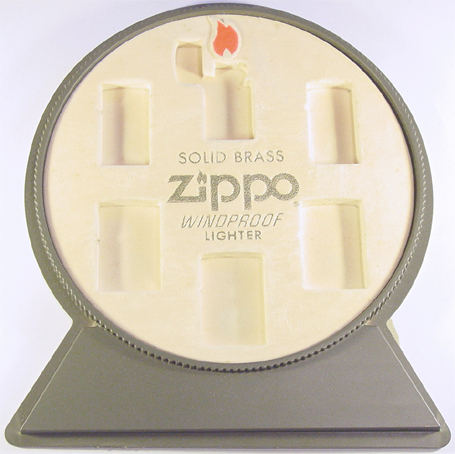 This brown plastic display holds four slim and four regular Zippos. 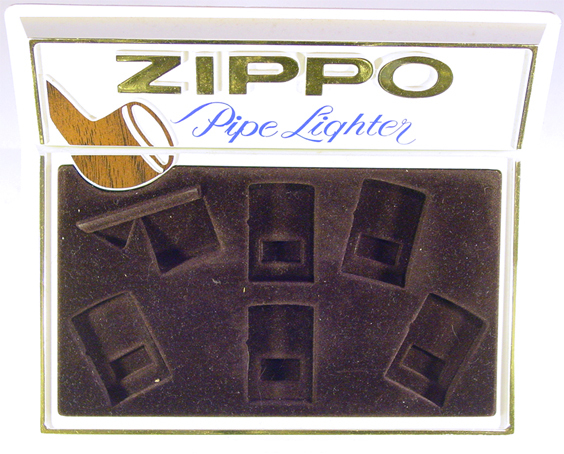 In 1982 Zippos added the pipe lighter to the product line. 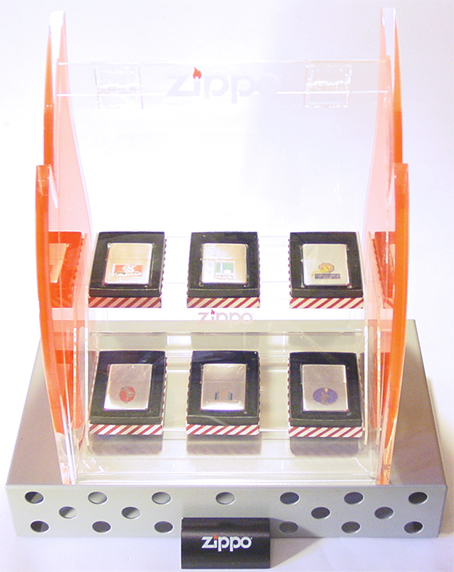 This white plastic display w/brown velvet holds six Zippos. 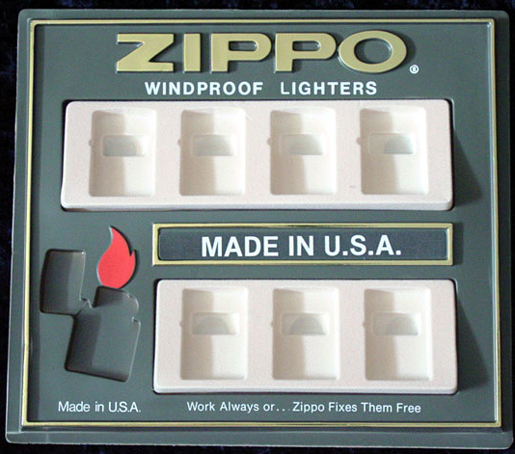 three slim and three regular Zippos. 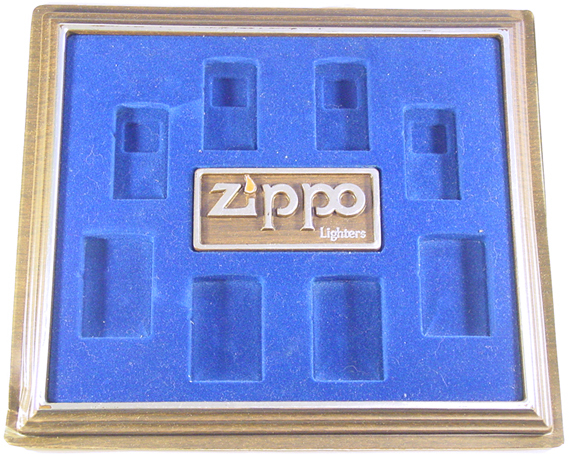 This white plastic display w/blue velvet from the 1980s holds six Zippos. 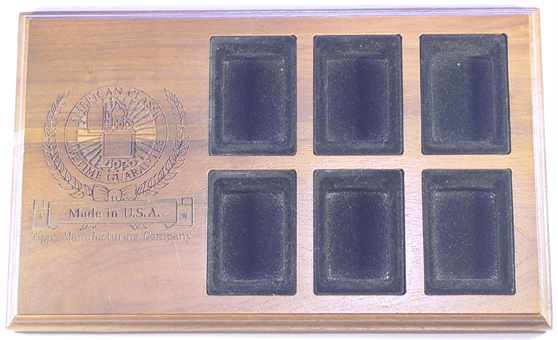 is about 9 inches high and 7 inches wide. 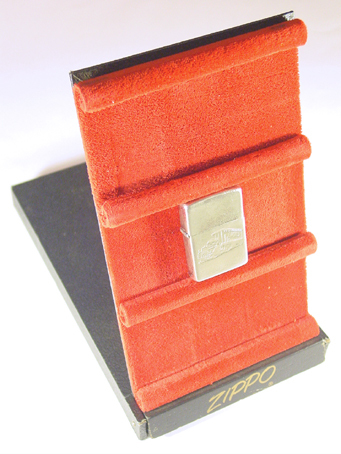 and 10 Zippo lighter collectors' guides. 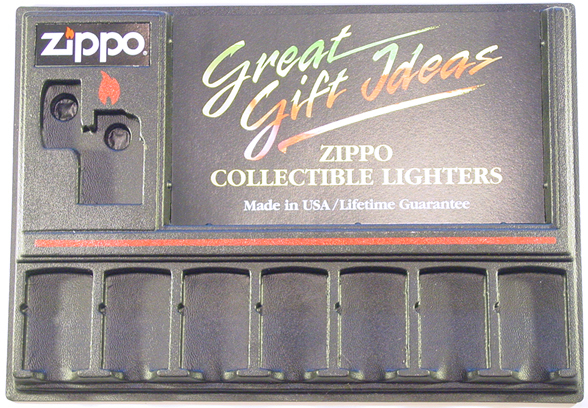 holds four regular and four slim Zippos. 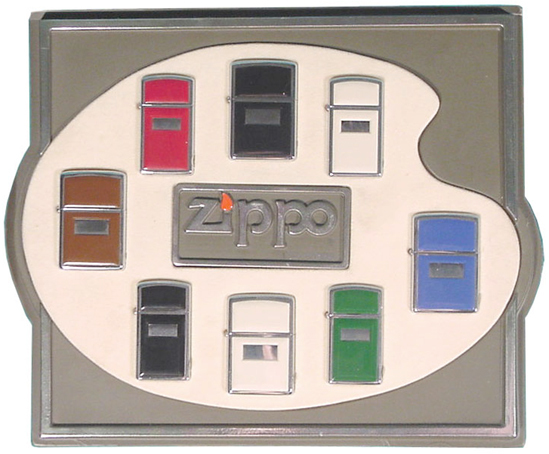 This brown plastic display from the 1990s holds six Zippos. 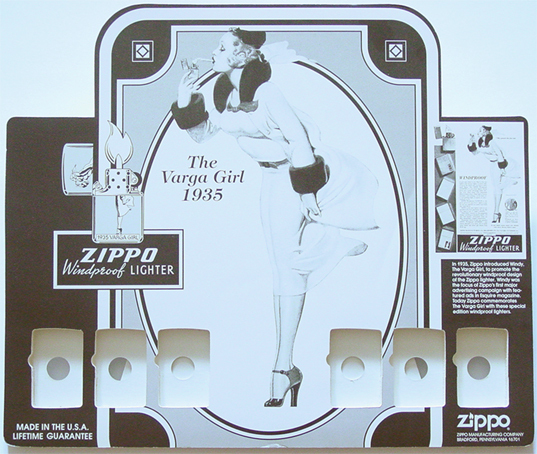 This cardboard display was made for the 1993 collectible of the year. 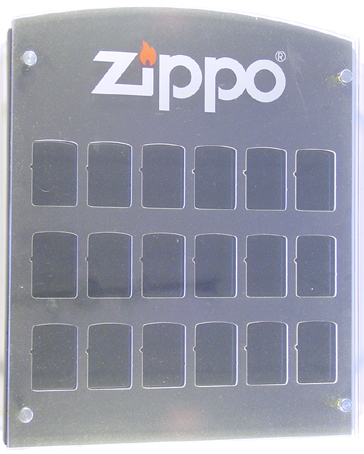 This black plastic "profit panel" display holds eight Zippos. 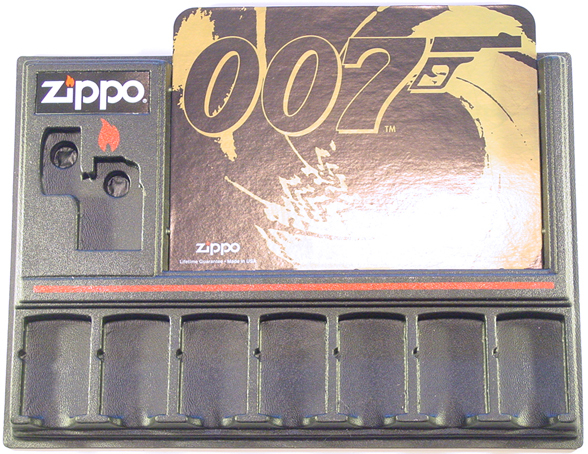 Additional cards were attached like this one for the James Bond Collection. 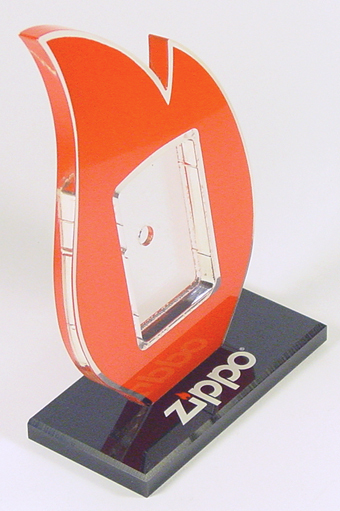 In the 1990s these wooden displays came w/laser engraved logos. 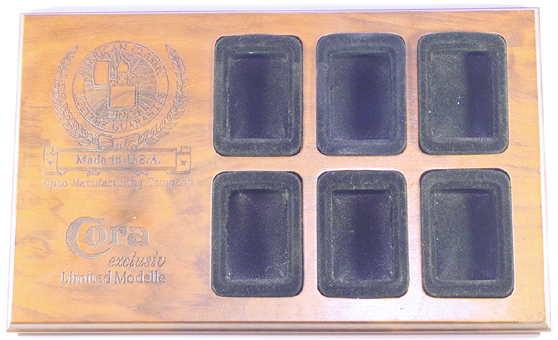 This one was ordered by Cora, a spanish cigar company. about 40" high, 33" wide and 2"deep. 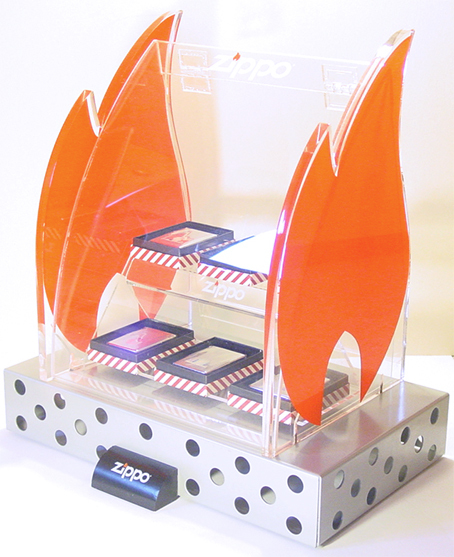 A new sales display for a new century. 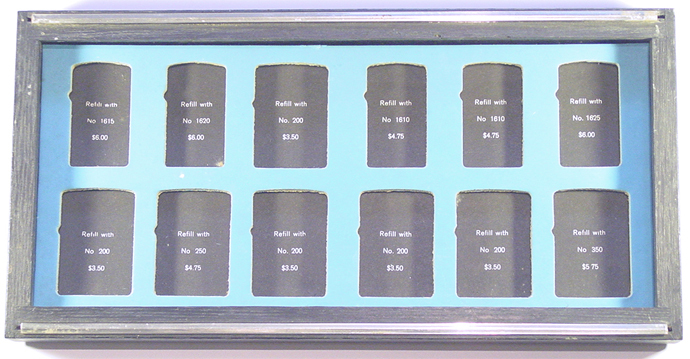 for the european market only. 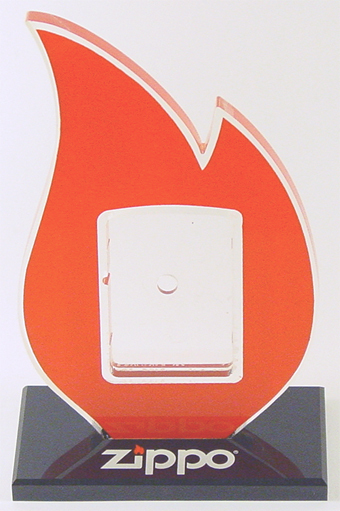 and the flames are about 12.5" high.